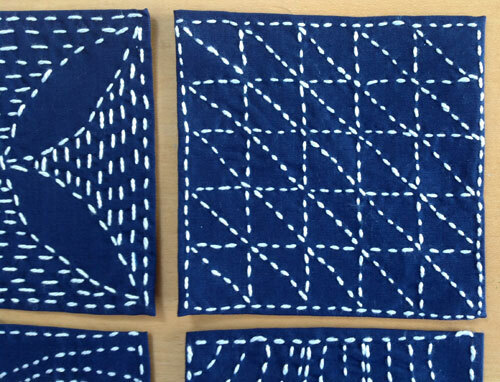 I have been dabbling with a needle, white thread and blue fabric …. look at the loveliness that has resulted! 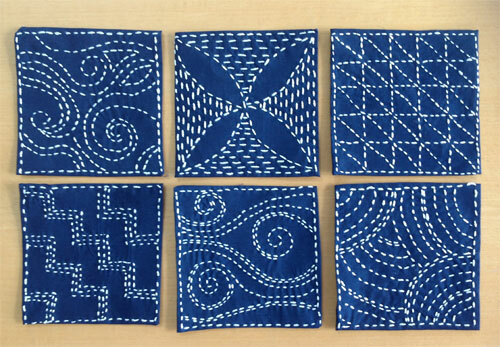 This type of embroidery is called Sashiko and is a form of decorative reinforcement that originates from Japan.I first came across it on Pinterest where there are loads of patterns …it was all I needed to get going with my own ideas. 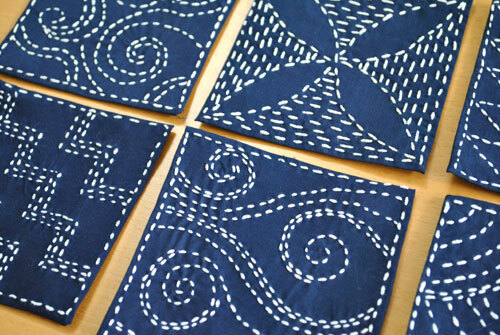 I am not sure what I am going to to with these 4″ squares yet, but they are very relaxing to make! 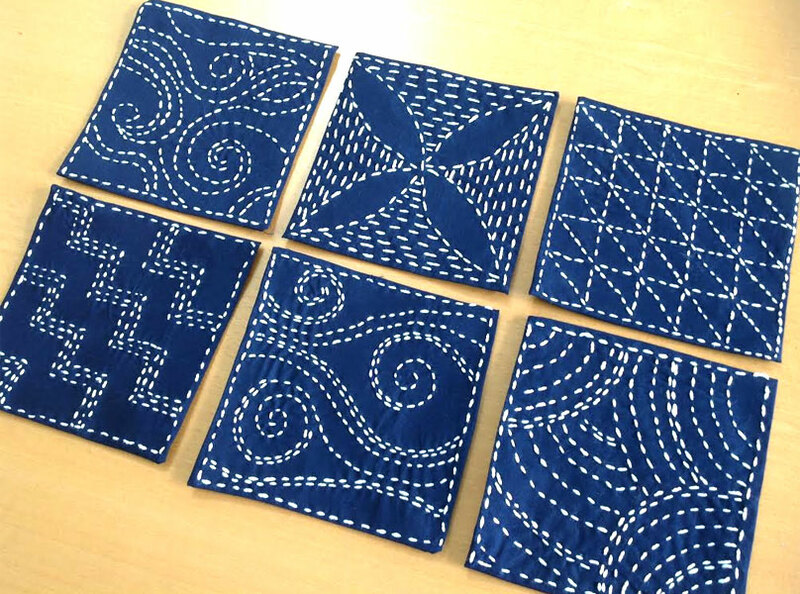 This entry was posted in Craft Projects, Decorative Accents, Home Decor, Sewing and tagged blue, blueandwhite, sashiko, white. Bookmark the permalink. 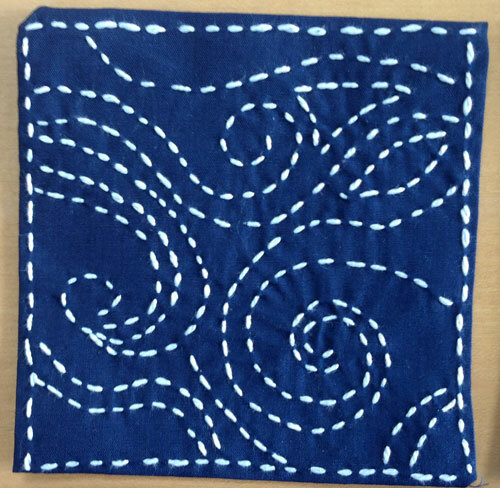 They look wonderful, a cushion front seems too simple for them but they would look stunning collectively! 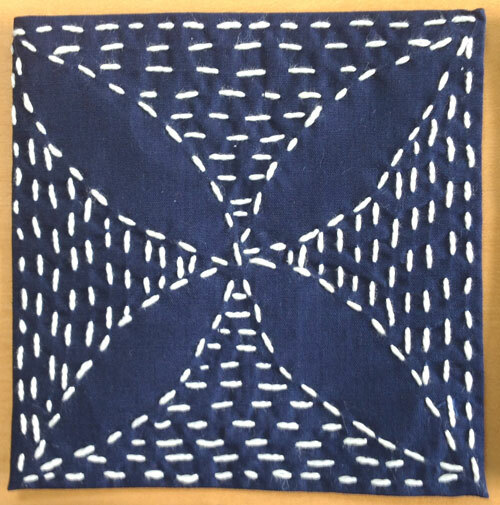 What a beautiful quilt they would make! …what an idea…it would take ages but what a project! I just saw these, thanks for the beautiful inspiration! 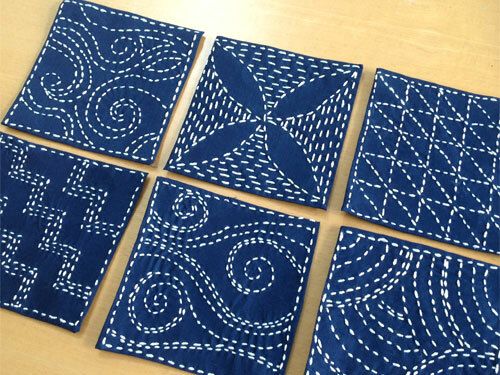 I’ve recently taken up stitching and just did four coasters out of my Shashiko Boho Inspired versions. What did you end up doing with those? ooohhh I’d love to see them!